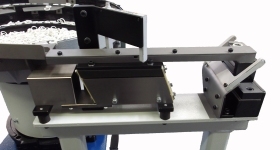 Custom built to suit your individual requirements and specifically tooled to ensure optimum performance. 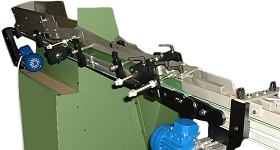 We supply a wide range of linear feeders that can be customised to suit all types of product. 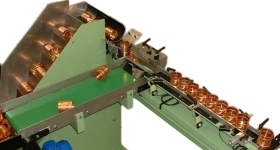 Manufactured to complement the automation systems and equipment that we supply. 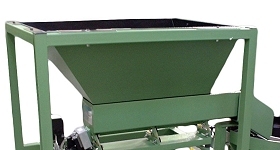 Suitable for use in many applications with linear feeder or conveyor outfeed track options available. 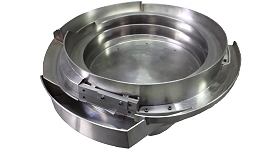 Designed to transfer components from a storage hopper or supplied as a bespoke orientation system. 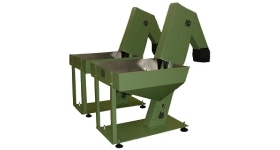 Manufactured for the transfer of product at a controlled rate from a mass storage hopper. Unit 6, Lodge Forge Trading Est.